Pacific ocean perch is not a true perch, but rather a beautiful vibrant red rockfish that dwells on rocky seafloor habitats from the Bering Sea to Baja California. Commonly known as POPs, these rockfish are one of the most important commercial species in the northeast pacific. Your customers will love the light, clean taste of sustainable Pacific ocean perch as a healthy addition to your menu. 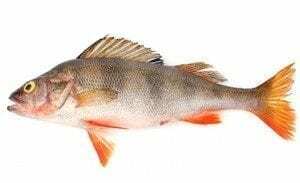 Pacific ocean perch are a white meat fish that provide a delicate, nutty flavor. They are a lean, high protein seafood with a firm but moist texture. Steaming and baking are excellent options that bring out the flavor while retaining the moisture of the fish. Use a sweet or spicy marinade and finish the dish with fresh toppings for a mouth-watering meal that will leave your diners wanting more. Pacific ocean perch are long-lived (up to 100 years!) and take up to 10 years to become mature enough to reproduce. These two factors combined make POPs vulnerable to overfishing and the West Coast stock was depleted in the 1970s. Luckily, effective measurements were put in place and the stock is rebuilding and considered sustainable. Much like the lingcod, the Pacific ocean perch can be celebrated as a success of proper fisheries management. It is vitally important that those of us in the seafood industry recognize when the efforts of a fishery bring a species from the brink of depletion back to a sustainable level. Join Pucci Foods in celebrating these successes and purchase your Pacific ocean perch for your diners today. Order wholesale Pacific ocean perch by filling out the form on this page and we’ll be in touch right away!